With my collection of over fifteen - Yes - FIFTEEN! Glasses, I consider myself a glasses connoisseur. I have Cat Eye glasses, Rounded Le Corbusier-esque glasses, and even Squared frames. Of all these frames, I've bought probably all but one of them online, and the number one reason why I buy my frames online is due to the absolutely huge variety of styles. I've found so many more unique styles online than those that i've seen on the high street. And with that, here's a post on the steps I take in ordering the right pair of glasses online with ease. Make sure your prescription is up to date: To be able to order your glasses online, you'll obviously need your prescription on hand. Our prescriptions change subtly over time, and many opticians would suggest going for an eye test once a year, just to make sure. I'll be honest and put my hand up and say that I haven't been in about two years - Oops! And i can tell because i'm squinting awfully even with my glasses on sometimes, so don't be like me and go get your eyes checked! Think of what styles you like, and what styles may fit you: This can be a tricky one, unless you're like me and have a fairly solid idea in regards to what style of glasses you like, it can be overwhelming to decide which and what types of glasses would look great on you. 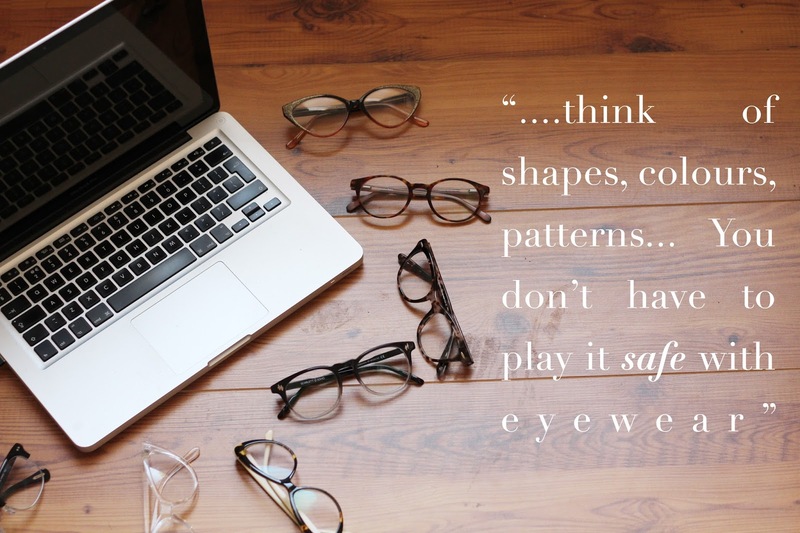 Check out blogs featuring people who wear glasses *cough-me-cough* and see what types of frames they're wearing and also what face shape, skin tone and hair colour they have as these are all things that will affect how your glasses will look on you. Consider the 'Try Before You Buy Option": Most online eyewear retailers nowadays have the option of trying before you buy, or a home trial (which i've used twice before! ), i think it's a very good way of trying a few different frames out in real life and maybe even pairing them with outfits to see how they would work in the long run. This or That? Or Maybe Both…: As previously mentioned, I have A LOT of glasses, which means i'm pretty much safe if I'm ever to sit on, step on, or lose a pair, which i have yet to do *touch wood*.. Consider buy one get one free or buy one get one half price offers if you're someone who is prone to clumsiness or losing things often, it may save you a lot of hassle having two pairs now and saving one for emergencies! Returns, Oh Returns: Always, always, ALWAYS read the returns policy thoroughly, glasses are not an easy thing to exchange or return which is why you should always try and read the small print. Some companies will allow around 30 days for satisfaction, whereas some will not so try to be in the loop so you don't lose your precious pennies! Check out websites dedicated to Eyes / Eyewear / Lenses & Glasses: This one is probably pretty obvious, but check around, shop around for good deals, find forums, and check out websites dedicated to all things optical, a good place to start is Vision Direct who have a brilliant list of tips and tricks on making the most out of shopping online for glasses. Buying glasses online needn't be such a chore! Save yourself some time, and pick from a far larger style range and have the opportunity to be able to choose varying lens thicknesses, tints and even different coloured temples for those days where you want to switch it up a little! I've found so many more unique styles online than those that i've seen on the high street. 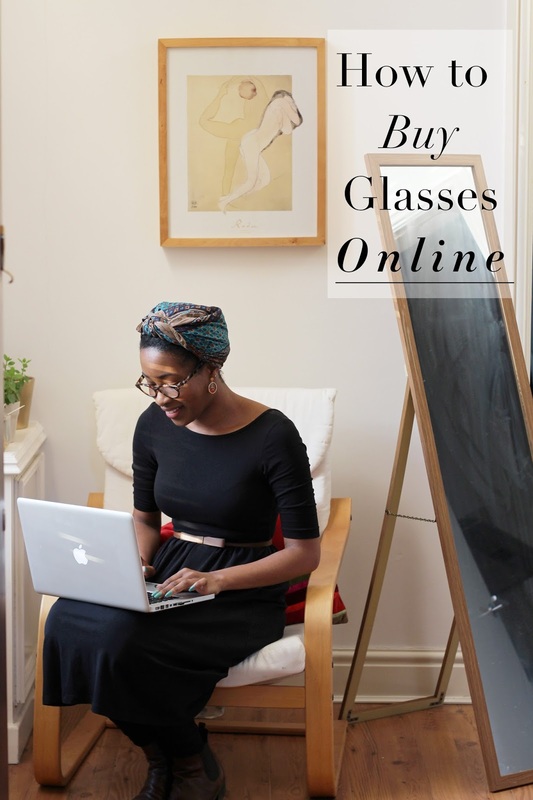 My top tips would be to check around, shop around for good deals, find forums, and check out websites dedicated to all things optical, a good place to start is Vision Direct who have a brilliant list of tips and tricks on making the most out of shopping online for glasses. Glasses shopping will differ depending on your sight, but i hope a few of these tips can be helpful for anyone looking to buy their first pair online. Hope this has helped all my fellow glasses wearers! Your glasses are always nice though.